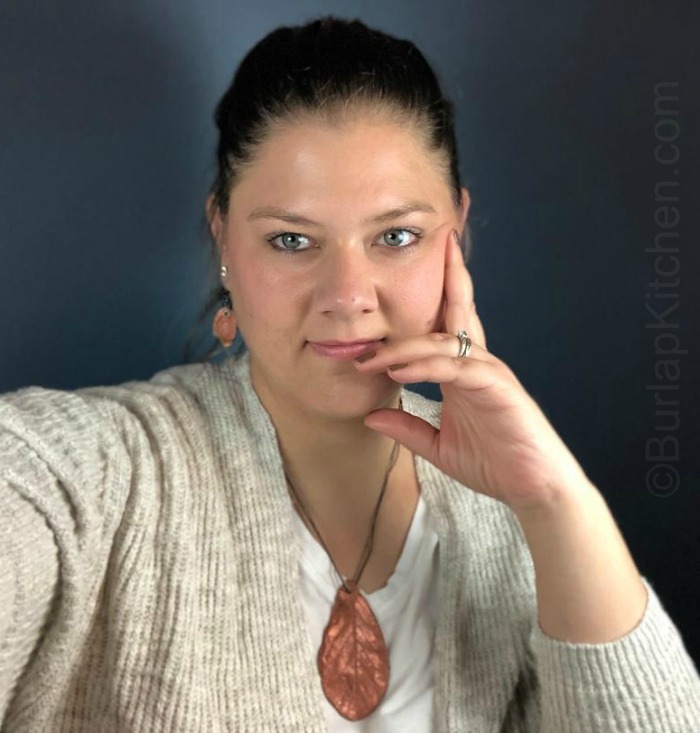 When I first started the Burlap Kitchen I had no idea what I was doing. I still don’t, but I have learned a lot since starting this blog back in (?January of 2013.) I still have a long ways to go, but I’m a firm believer in that old saying, ” fake it till you make it”. So until I make it I will keep watering my dream until I blossom into the creative blogger I dream of being. As I sit here thinking about some of the recipe photos I’ve posted in the past I have to chuckle, because if I don’t, I’ll probably cry from embarrassment. I’m still not an expert when it comes to photography but I’m improving. At least my photo’s don’t look like the food version of people of Walmart anymore. Ok, that’s enough blabbering about my blogging skills, let’s talk about this casserole. This recipe is similar to green bean casserole but better in my opinion. The broccoli is tangled in a sea of heavy cream, and shredded cheddar. I added bacon and French fried onions to add some crunch to this dish. I like to cook the broccoli until it is mushy but that’s just my person preference. If you like your broccoli a little more on the crunchy side then don’t cook it quit as long as I did.